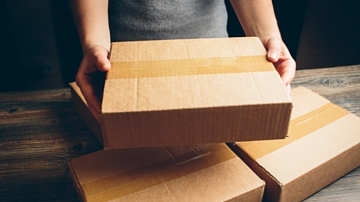 Fulfillment is a form of distribution that allows you to cut out third-party retailers and wholesalers, such as Amazon or Ingram, to sell directly to consumers from your website, without having to pack and ship orders yourself! At BookPrinting.com, we provide you with the ability to put a button on your website that says “Buy the Book from the Author.” When people click that link, they’re taken to a personal sales page where they can purchase your book, which is then sent directly from our warehouse to the customer. Because sales don’t go through a third party (e.g., Amazon), there is no wholesale discount subtracted from your royalties, which means you’re able to make more money per sale than you would through third-party retailers and wholesalers. Our fulfillment program allows you to create unlimited promo codes, giving you the power to discount your book in ways that enhance your marketing efforts, whether you’re posting on social media (e.g., “20 percent off! Today only!”) or handing out postcards at an event that offer an exclusive promotional discount for those in attendance. With fulfillment, you’ll be able to see your sales numbers in real time. Compare this to expanded distribution, where it can take up to 120 days to get sales reports from third-party retailers like Amazon. While you can certainly sell books directly to consumers on your own, taking on that responsibility means storing large volumes of books in your home, handling and processing each order, shipping books, and calculating sales tax. A fulfillment program can take care of all those activities for you, while still maximizing your royalties. When choosing the best distribution plan for your book, you do not need to choose between fulfillment and expanded distribution; both function together quite well. But the best services for your project will depend on your audience and where they are most likely to buy books. While Amazon and Barnes & Noble are recognizable names, do your readers require a presence on those sites? If so, you may want to consider fulfillment and expanded distribution, knowing that fulfillment will allow you the opportunity to create promo codes that can help drive traffic to your personal sales page, where you can make more money. If your readers are already open to purchasing books directly from you, fulfillment is a great standalone option. If you’re interested in learning more about how fulfillment can work for you, send us an email.